The thing is, I lost the tube when we had the house construction started in January. And with all the lipat bahay mumbo jumbo I had to deal with, I totally forgot to get those eye bags and dark circles taken cared of. And if you have seen me all those four months, my stresses were all magnified through the bags under my eyes. Celeteque DermoScience™ Advanced Anti-Aging Anti-Wrinkle Ultra-Hydrating Cleansing Oil cleanses the face by removing dirt and make-up while moisturizing the skin. It has Dual Vitamin Regenerating Complex that promotes healthy tissue regeneration, resulting to increased elasticity and moisture levels. This helps in ﬁrming the skin and reducing the appearance of ﬁne lines, wrinkles and pigmentation. I have yet to try this out myself. But because I only have good words for the previous mentioned Celeteque products, I have my hopes leveled up on this one. I have used a few cleansing oils in the past and this is the first time I’m actually using one that claims to be anti-aging. Will let you in on my thoughts a month after I started using this. 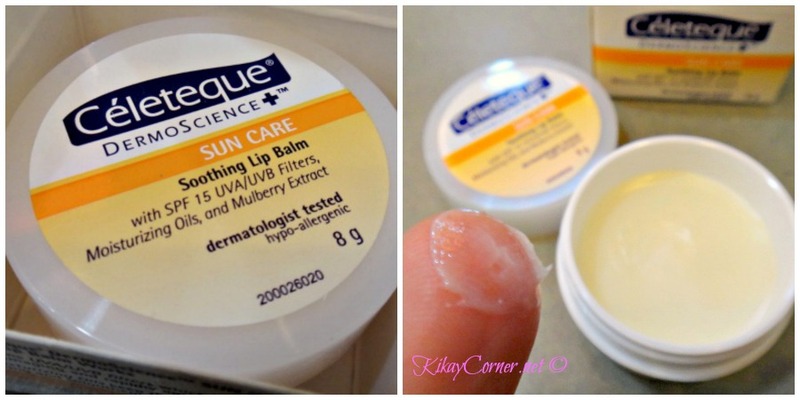 I am a celeteque user eversince since I do have a very sensitive skin. I am joining because I love the product and winning this will really be a blessing for someone who believes in the product. I would like to win this giveaway so I am able to try their product, to look and feel young! I have heard a lot of good thing about Celeteque and my sister in law recommends it because she said that it is very effective. I would like to try it myself and see if it works for me too. I would like to try Celeteque products because theres a lot of good reviews about the brand. I have sensitive skin, so I want to see if it works for me. I want to try Celeteque Dermoscience Beauty Products, i am not getting any younger and i want to start trying the Celeteque Dermoscience Beauty Products. And since Kikay Corner is a believer, i will definitely trust Kilay Corner’s advise!!! I want to win because this amazing product can help me protect from aging and skin damage due to sun rays. Skin aging is the most dreaded thing at my age. I am turning 39 this year and the fear of skin aging is my number one thing in mind. I want to try Celeteque products & treat myself! 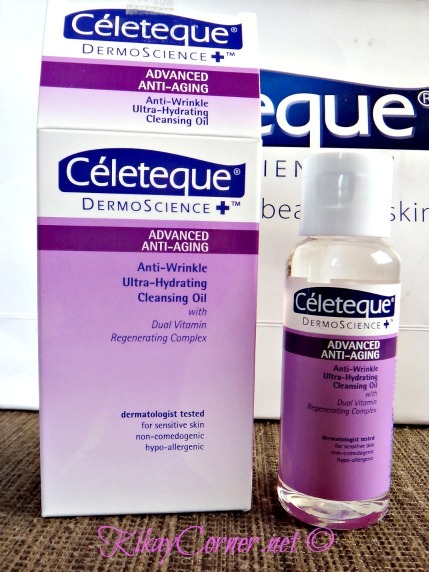 I want to give it a try, I never tried Celeteque before but still Im hearing lots of praise about the Cleansing Oil and the other products of this brand so thanks for this giveaway. I would love to win to maintain my healthy skin! I’d like to try Celeteque products and Unilab is a really trusted brand among our family. 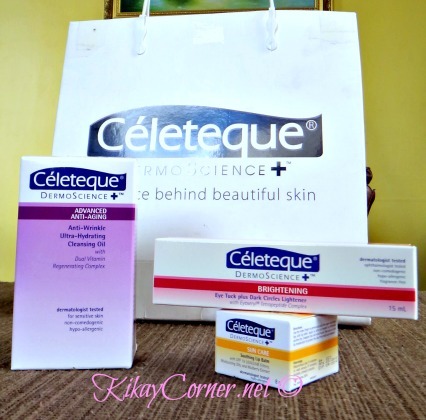 Why would you like to win Kikay Corner’s Celeteque Dermoscience Beauty Products Giveaway? Because this are the products I’m using for my beauty regimen. I love Celeteque products really suits for my skin needs. I will hand it over to my teenager niece who has very sensitive skin.